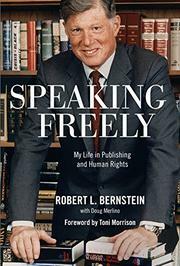 Former Random House President Bernstein gives a fascinating history of publishing in the 20th century and traces the beginnings of the human rights movement. The author’s stories of beginning at Simon & Schuster after World War II as office boy “in waiting,” working his way up into the sales department, and working on the Little Golden Books all vividly illustrate corporate life in the publishing industry. During that time, he was fortunate to meet Kay Thompson, who was looking for someone to promote a new line of Eloise merchandise to accompany her bestselling books. It did so well that, after being fired from Simon & Schuster, Bernstein continued promoting Eloise. In a perfect example of the importance of networking and knowing people, the owner of Books, Inc. in San Francisco mentioned Bernstein to Bennett Cerf, owner of Random House, who hired him in 1956. Thompson went with him, and he became her literary agent. As he notes, children’s books fueled his career. He began with a book of stories linked to Shirley Temple’s TV show and worked for years with Dr. Seuss. Within a decade, he was president of the company. He continued Cerf’s publishing philosophy to print books because they were important, even if they weren’t big sellers, and Cerf’s legacy taught Bernstein to hire and delegate and to “beware of articulate incompetents.” Without his high-profile position at Random House, he might not have been invited to Moscow in 1970, where he was exposed to the Soviet dissident movement, then in its infancy. From then on, the author was active in many organizations related to human rights, including the Association of American Publishers, the Fund for Free Expression, the International Freedom to Publish Commission, and as chair of Human Rights Watch. The Helsinki Final Act of 1975 helped hatch the Helsinki Watch and America’s Watch, eventually covering the Middle East, China, and Africa; Bernstein was there for it all. A well-written book for lovers of book publishing and supporters of human rights.